A briefing session for the 2018 season, held at the SAKURA Tempesta's hub for activities, the Tsudanuma Campus of the Chiba Institute of Technology. 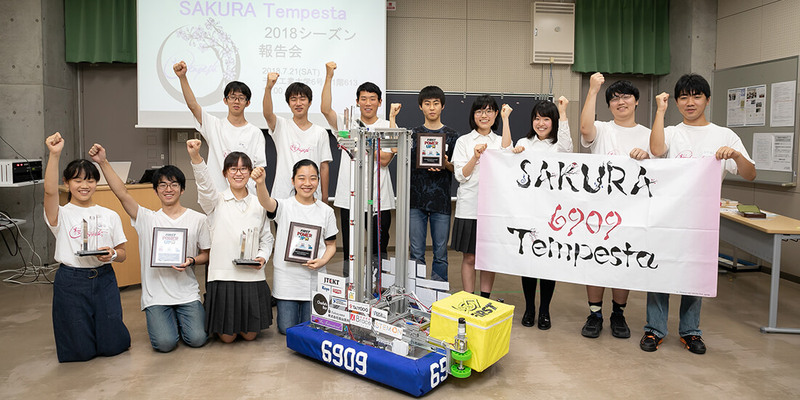 At the 2017–2018 FIRST Robotics Competition (FRC), an international contest for high school students, SAKURA Tempesta transcended thousands of other teams to win the Rookie All Star and Highest Rookie Seed awards at the regional competition in Honolulu. The team from Chiba Prefecture, Japan, also became the first Japanese team to advance from regionals to the championship bout in Detroit. The contest is put on by the nonprofit For Inspiration and Recognition of Science and Technology (FIRST), established by Segway inventor Dean Kamen. Aiming to encourage high schoolers grades 9–12 to pursue STEM subjects, the program imposes a six-week time frame and limited resources, challenging the students and their mentors to design, build, and program industrial-size robots—and then battle it out. Based on 8-bit video games, 2018’s theme was FIRST Power Up, in which robots place “power cubes” on large balancing scales to tip the scale and gain ownership, or climb the tower attached to the center balancing scale. On July 21, 2018, a briefing session for the 2018 season took place at the Tsudanuma Campus of the Chiba Institute of Technology, SAKURA Tempesta’s hub of activities. Among the many mentors, parents, and sponsors attending was team leader Kanon Nakajima, a 12th grader and FRC veteran who first participated during her study-abroad stay in Minneapolis, where the competition was a club activity. 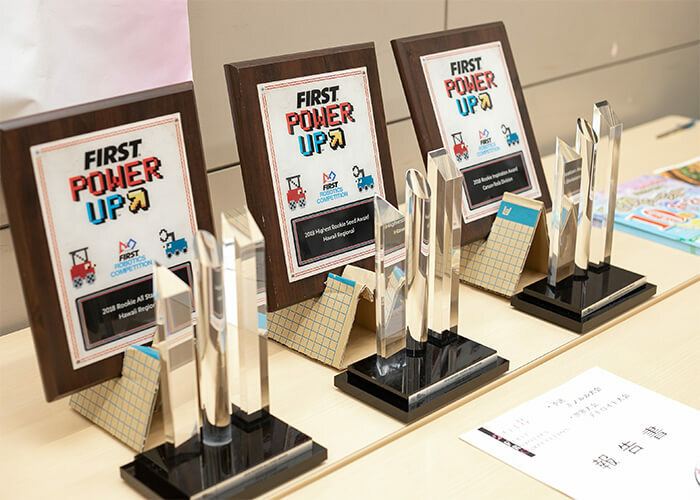 SAKURA Tempesta won three FIRST Power Up awards. An important briefing session for FIRST Robotics Competition sponsors and supporters. Nakajima—who received the FIRST Dean’s List Finalist Award in the 2018 competition—started thinking about entering FRC as part of a Japanese team after she returned to Japan. To create a team, she solicited student interested in FRC through Facebook and Twitter and then sought the support of CoderDojo, a programming class aimed at young students, to participate as a mentor. During this process, Nakajima also contacted Yuki Onishi, a student in the Department of Systems and Control Engineering at the Tokyo Institute of Technology. Onishi had participated in FRC’s 2014–2015 season as part of the first Japanese team, the Tokyo Technical Samurai. As part of the competition, teams have to raise the funds to cover all costs: the participation fee; travel and accommodation expenses; and money to cover designing, modeling, and a workspace. SAKURA Tempesta struggled with fundraising and approached over 500 companies, giving presentations. 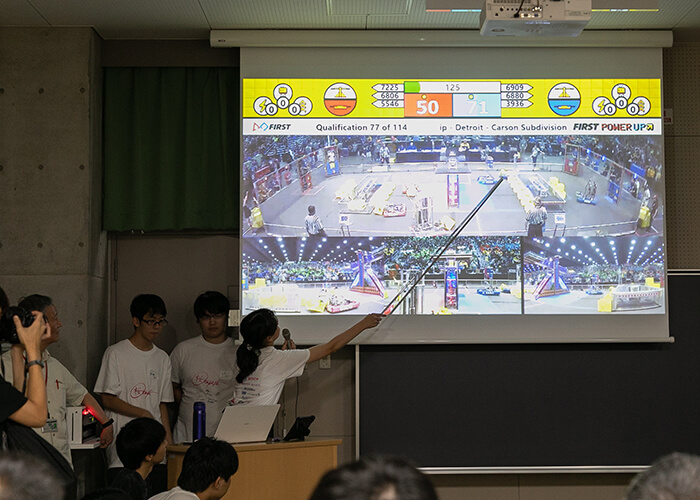 This was difficult for an untested team promoting a little-known activity in Japan, but they met their goal through a combination of sponsorships and crowdfunding. The Chiba Institute of Technology also granted use of its research lab. Download free software for your high school robotics team. Get the tool SAKURA Tempesta used to design its winning robot. 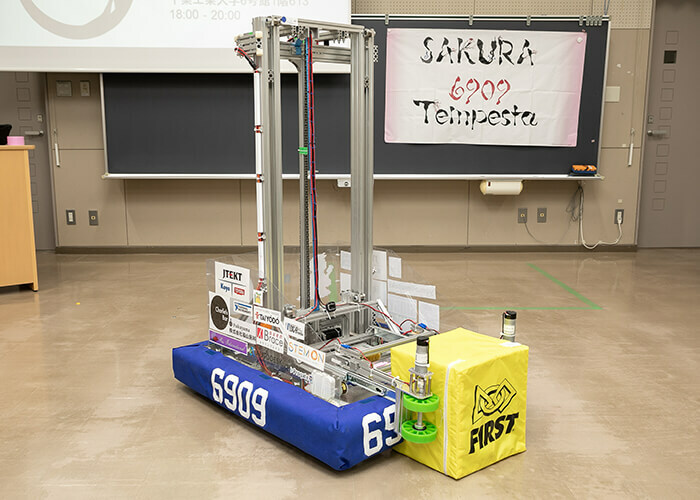 Noi Tatsuzaki designed and modeled SAKURA Tempesta’s robot—a 117-pound, 54-inch forklift-like model in cooperation with team members in charge of hardware. Tatsuzaki received an electric drill from her father at age 1, grew up with focused education in machine work, and started building robots in the third grade. SAKURA Tempesta’s team leader Kanon Nakajima (left) and team member Noi Tatsuzaki. Yuki Onishi, a student in the Department of Systems and Control Engineering, School of Engineering, Tokyo Institute of Technology. “The fact that we received all these awards in our first challenge is due to the efforts of the entire team, the guidance of mentors, and the cooperation of companies and supporters,” Nakajima says. Although mechanical engineering is still a male-dominated field in Japan, half the SAKURA Tempesta members are female, and it’s part of the team’s mission to get girls excited about STEM subjects. “We’re all students, so I’ve never specifically felt any gender differences within the team,” Nakajima says. The theme for the competition’s 30th season next year is Destination: Deep Space. 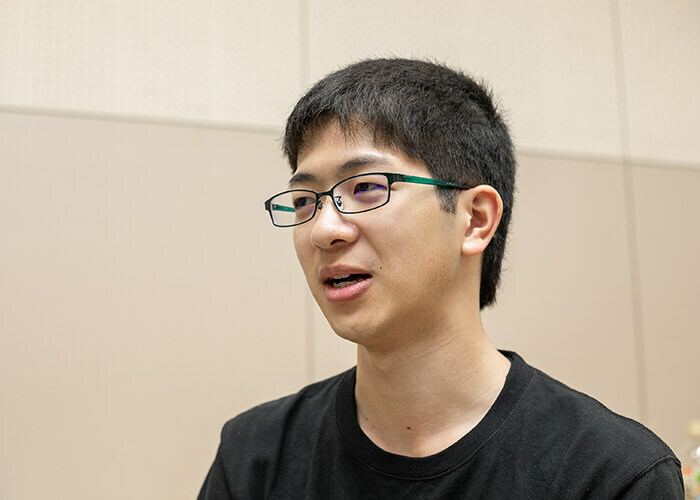 “Plans for next year haven’t been decided yet, but since half of the current team is in 12th grade and will be retiring due to exams and such, I would like to continue with next season’s activities while soliciting new members,” Nakajima says.